F/F FAM 6, St Thomas to Paramibo, b/s, large magenta rectangular cachet, b/s, flown by Lindbergh, Pan Am. 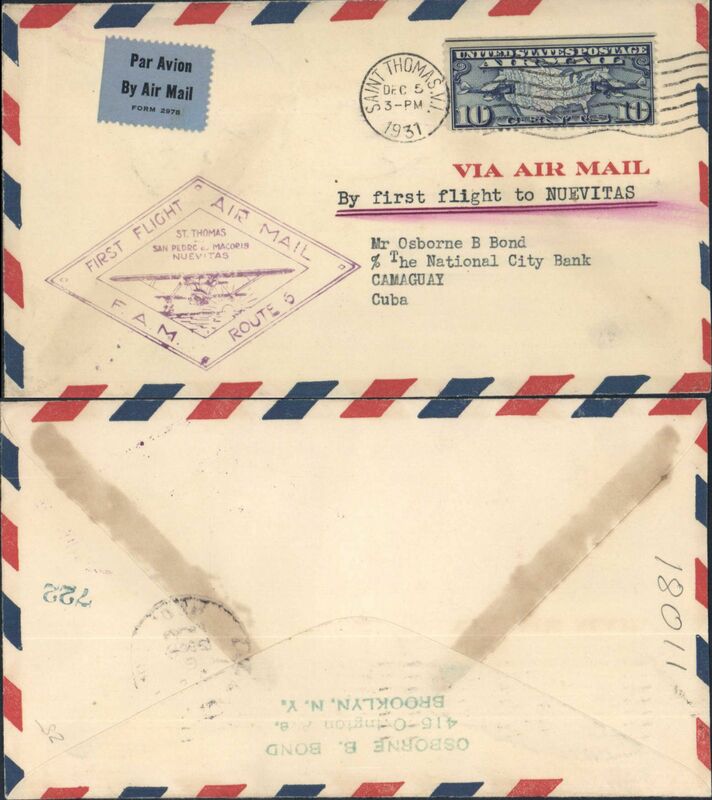 F/F FAM 6, St Thomas to Port au Prince, bs 27/9, purple Via Air Mail cachet, b/s, flown by Lindbergh, Pan Am. 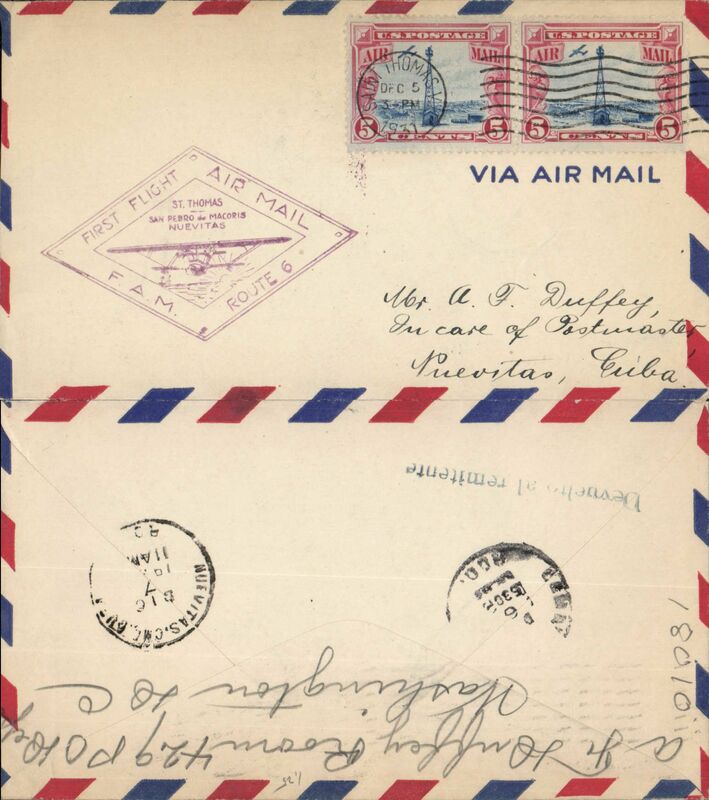 Pan Am F/F FAM 6, St Thomas to Nuevitas, Cuba, diamond biplane cachet, b/s. Pan Am F/F FAM 6, St Thomas to Camaguey, Cuba, diamond biplane cachet, b/s.